On Jan. 21st, the Moon aligns with the star Pushya (Poosam in Tamil), which is associated with intelligence. This particular cosmic event in the Tamil month of Thai, named Thai Poosam, fills the earth plane with divine energy to get rid of ignorance and limitations due to karma and empower yourself with divine intelligence and spiritual evolution. 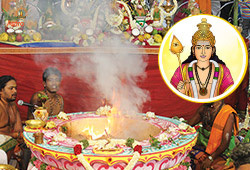 On Thai Poosam day, AstroVed will be chanting sacred mantras, performing special fire prayer and Poojas to Lord Muruga and his mighty weapon, Vel to help you connect with his divine intelligence and receive his blessings to eliminate ignorance, debts and diseases, as well as to defeat enemies. 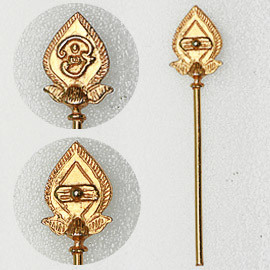 Muruga’s Vel represents infinite wisdom that brings true liberation. According to mythology, it was on the day of Thai Poosam that Goddess Parvati gifted the mighty Vel (spear) to Lord Muruga to destroy the demons. The Vel is a powerful weapon that is full of Goddess energy. Similar to the destruction of demonic forces, the Vel can abolish your deep-rooted bad karma and ignorance that affect your finances, relationship, and health. There are a few special days in the year when life-changing energies are at the maximum in the earth plane. 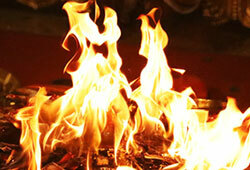 One such day is Thai Poosam, as it is regarded as a time for ascension from a material to a spiritual domain. It is a highly promising time for spiritual and personal evolution. On January 21, the Moon will be strongly placed in its own sign, Cancer and will be transiting star Pushya, ruled by Saturn. The Moon represents the mind principle and Pushya is associated with intelligence and nourishment. The Moon along with Rahu in Cancer, will be receiving the aspect of Jupiter. This cosmic alignment helps you to work on improving your strategies to overcome enemies and nourish and boost your inner strength. The star lord Saturn in the 9th house of higher knowledge and fortune helps you to seek protection from the divine. So, this special Full Moon can not only increase your intelligence but also help you to conquer negativities. On Jan. 21st, the Moon aligns with the star Pushya (Poosam in Tamil), which is associated with intelligence. This particular cosmic event in the Tamil month of Thai is called as Thai Poosam, an auspicious day to connect with Lord Muruga. 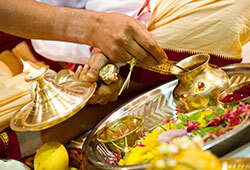 Participate in our Thai Poosam basic ceremonies to connect with his divine intelligence and receive his blessings. 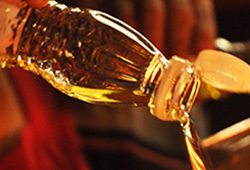 You will receive the energized product along with the sacred grey ash powder from the homa and kum-kum (Red Vermillion Powder), which will be blessed in the rituals. Keep this on your meditation altar and wear it on your forehead during meditation or at other times to expand the Divine blessings into your life. Please Note: Your product and prasad will be shipped a week after the entire set of rituals is performed from Chennai, Tamil Nadu. For international shipping, please allow 2 – 4 weeks for delivery. On Jan. 21st, the Moon aligns with the star Pushya (Poosam in Tamil), which is associated with intelligence. This particular cosmic event in the Tamil month of Thai is called as Thai Poosam, an auspicious day to connect with Lord Muruga. Participate in our Thai Poosam premier ceremonies to connect with his divine intelligence and receive his blessings. 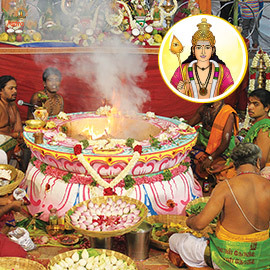 Book your individual Subramanya Panchadasashari Homa on Thai Poosam day. 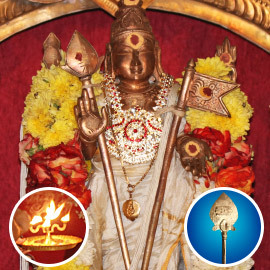 This fire prayer invokes the blessings of the warrior god Muruga. According to scriptures, performing this Homa can bestow divine knowledge, dispel ignorance, and help get rid of bad karma. 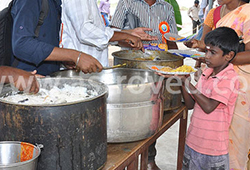 As per the scriptures, feeding the poor and needy is the easiest way to access God’s grace and is the greatest charity of all charities. 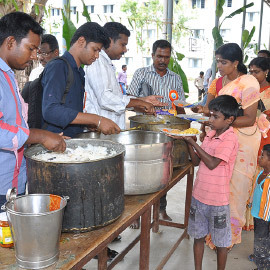 Donating food on Thai Poosam can attract Muruga’s divine blessings, positive energy, and peace of mind. 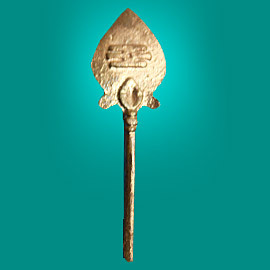 Muruga’s Vel is a psychic weapon representing Shakti or higher intelligence. Muruga received the Vel as a gift from his mother Parvati to destroy bad karma, darkness and diseases. Connecting with the energized 5-metal Vel can grant you Lord Muruga’s blessings to get rid of negativities and eliminate bad karma. Lord Muruga’s Vel, a special kind of lance or spear, dispels the darkness of our lower consciousness and allows higher intelligence to unfold within our mind. The Vel represents infinite wisdom that can liberate us from negative energies. It is a tool that destroys karmic thought patterns that have gathered over many lifetimes. The Vel gives us the ability to think and to act with power.